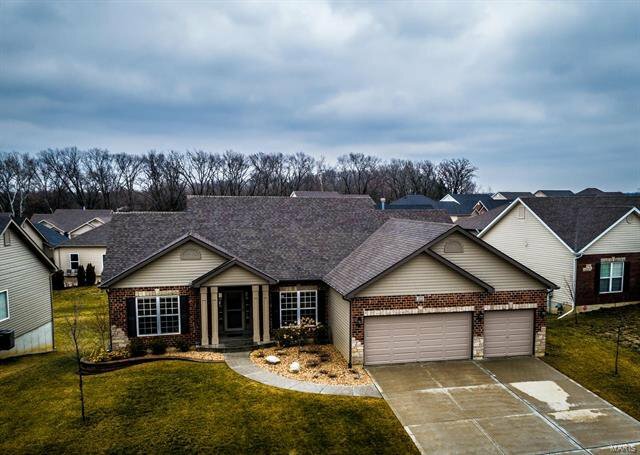 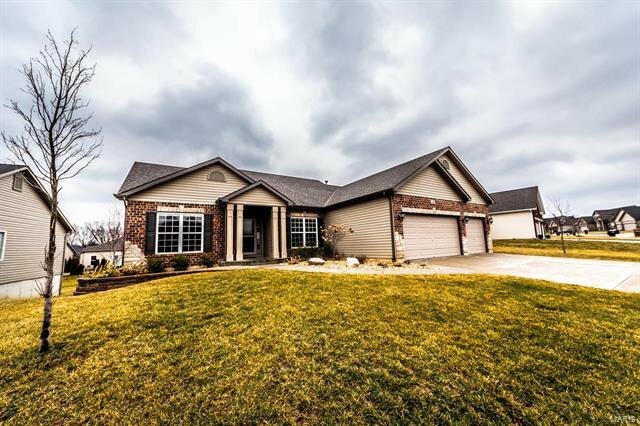 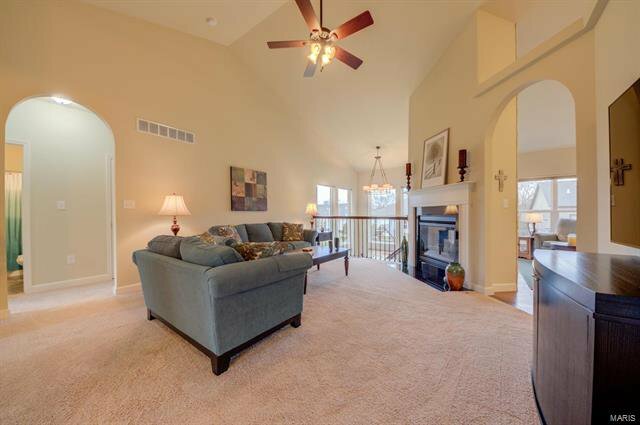 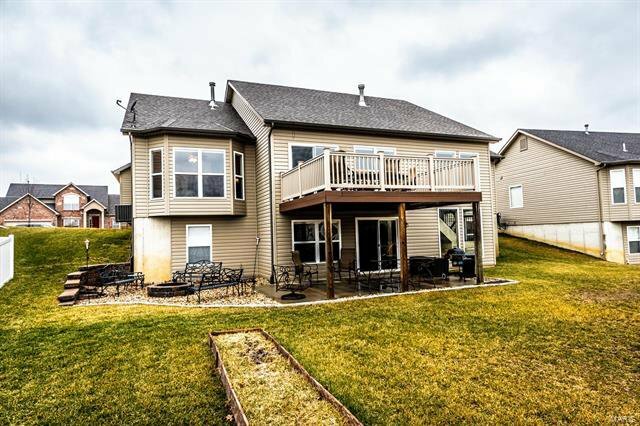 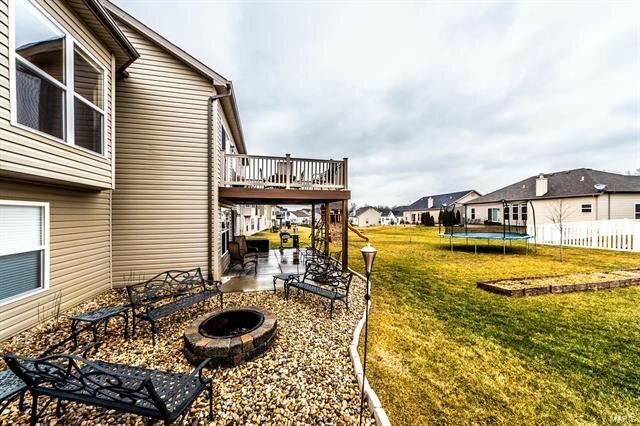 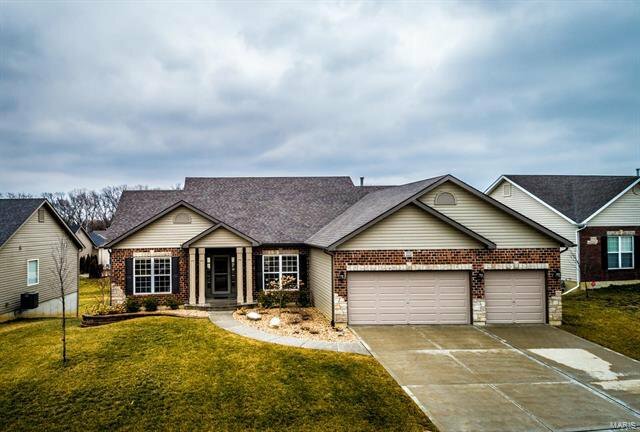 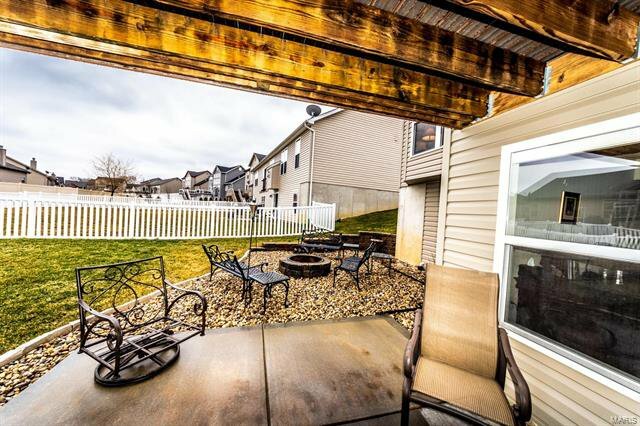 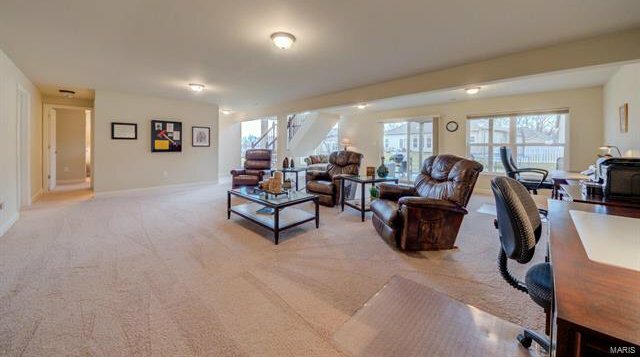 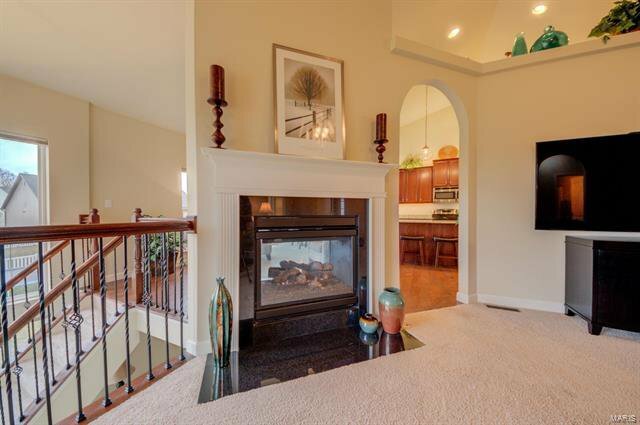 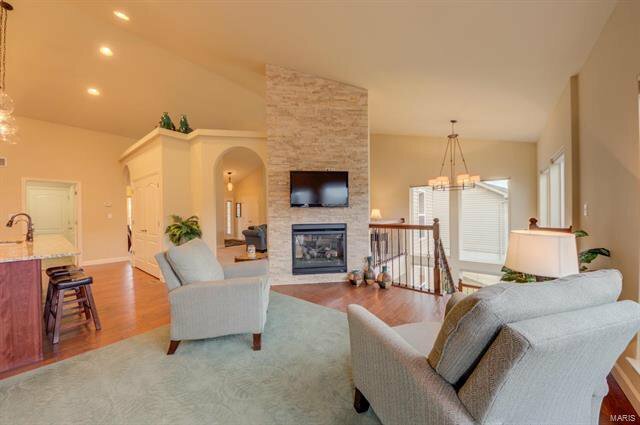 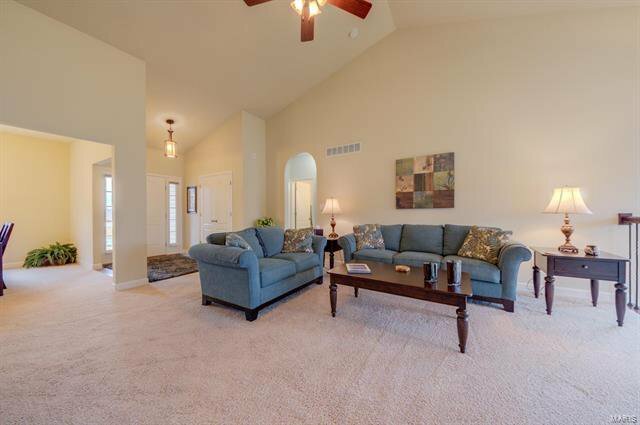 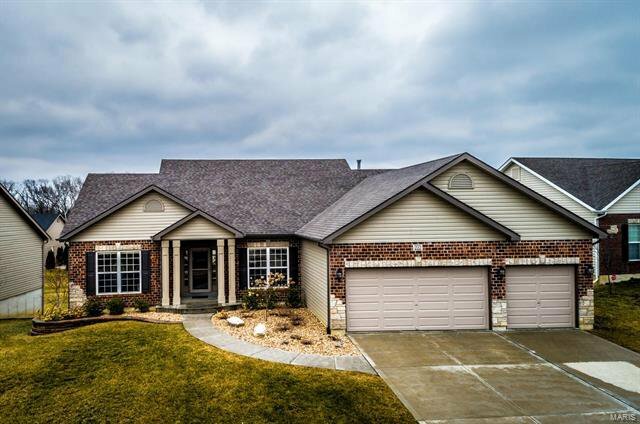 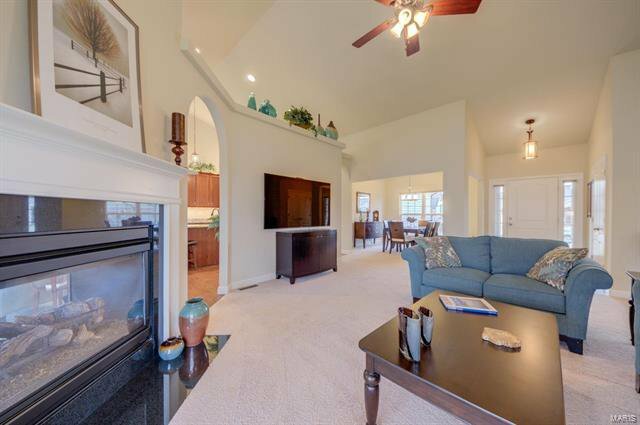 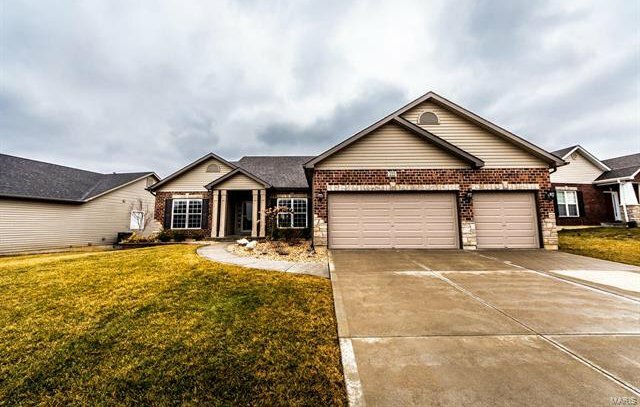 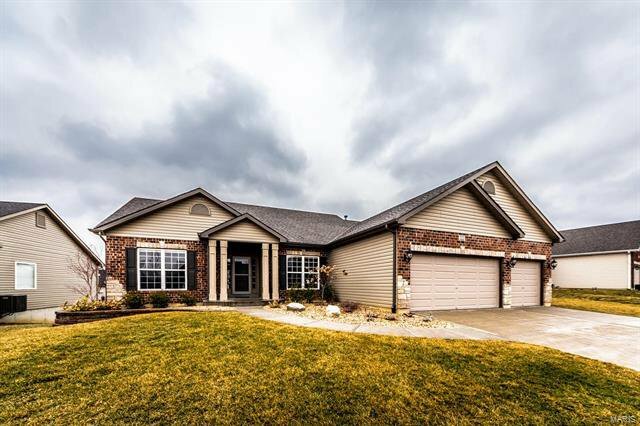 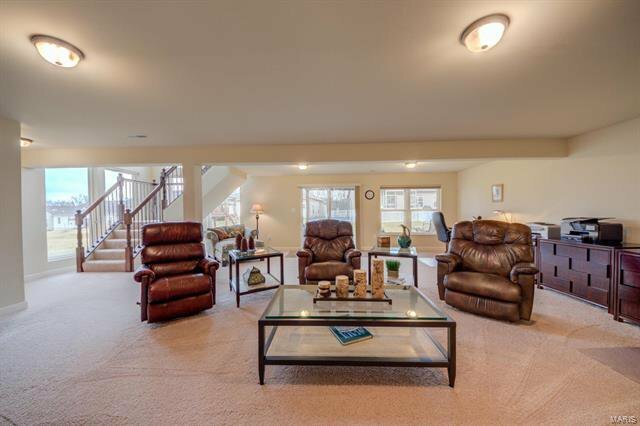 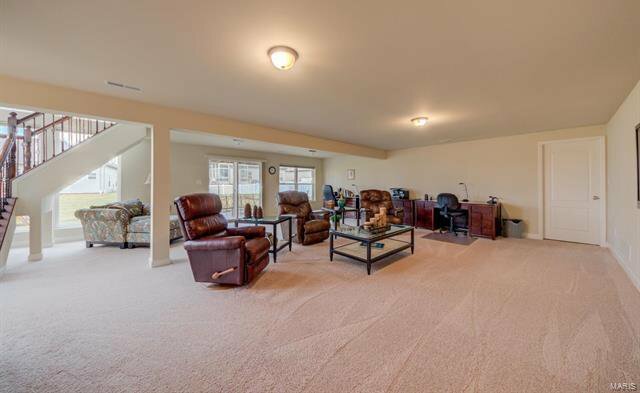 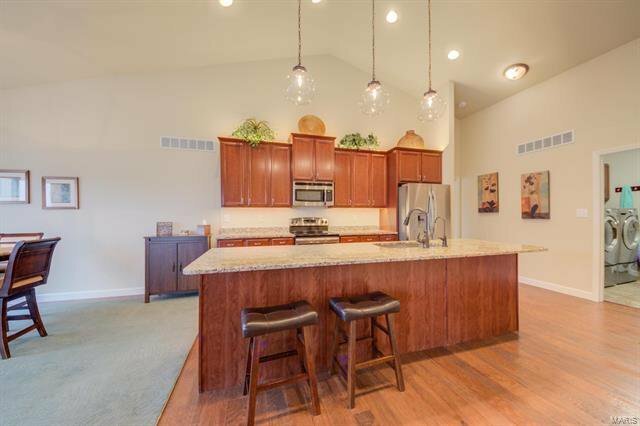 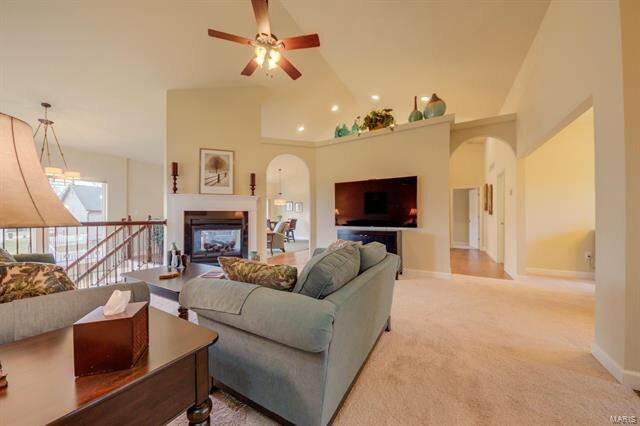 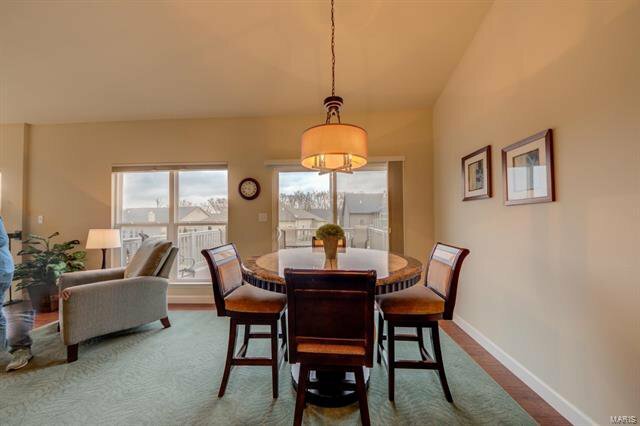 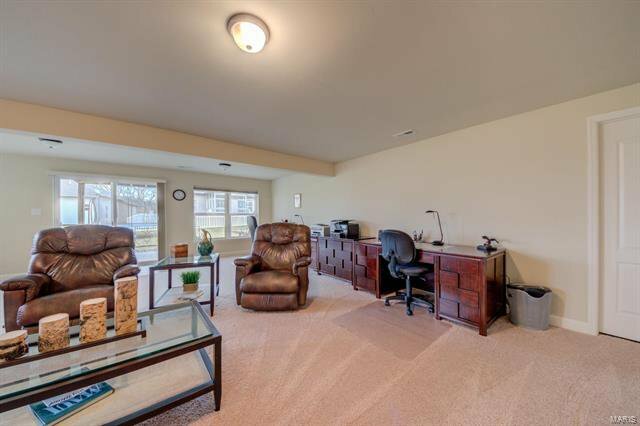 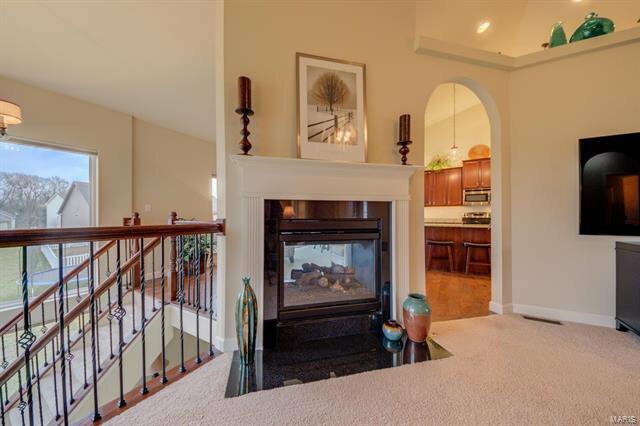 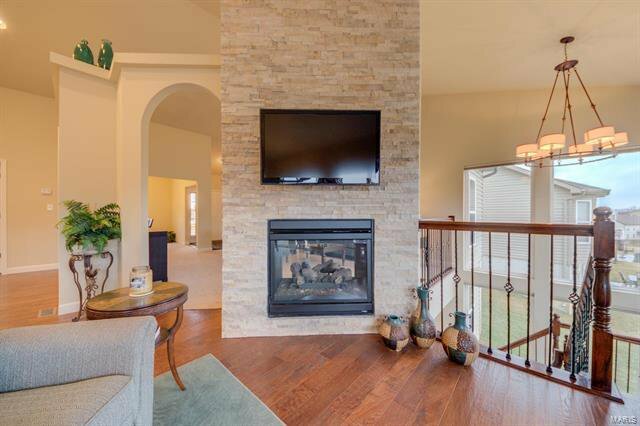 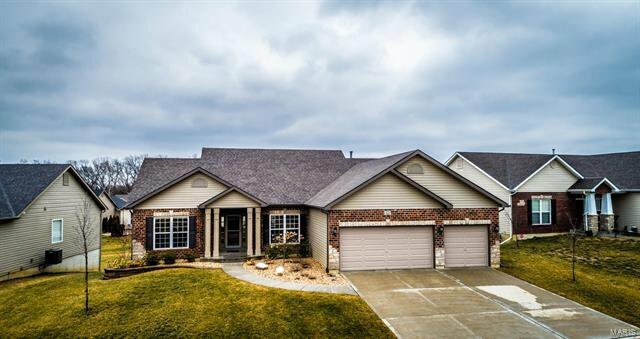 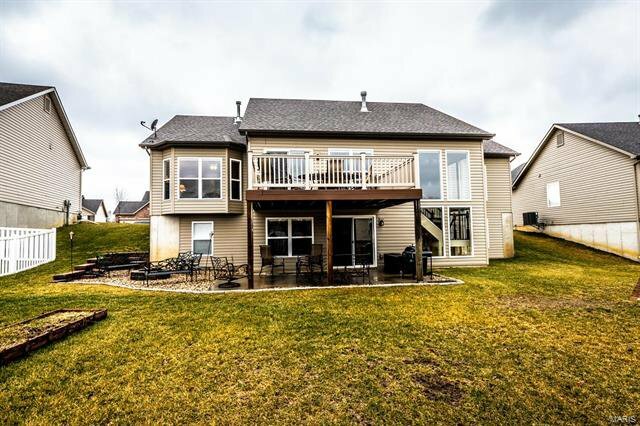 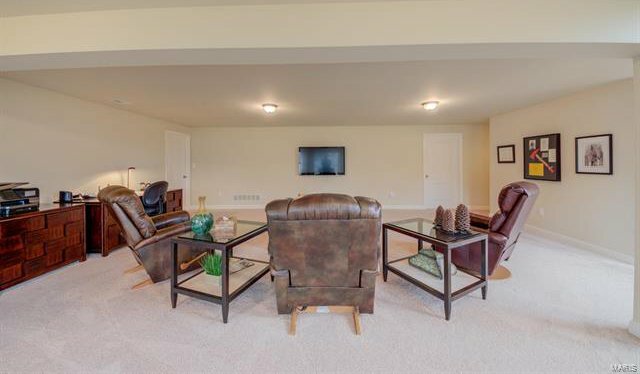 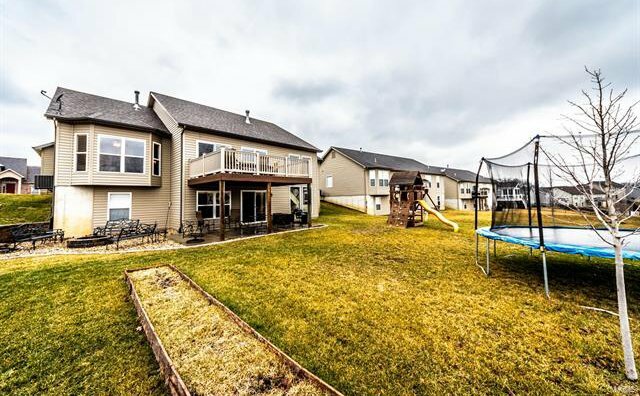 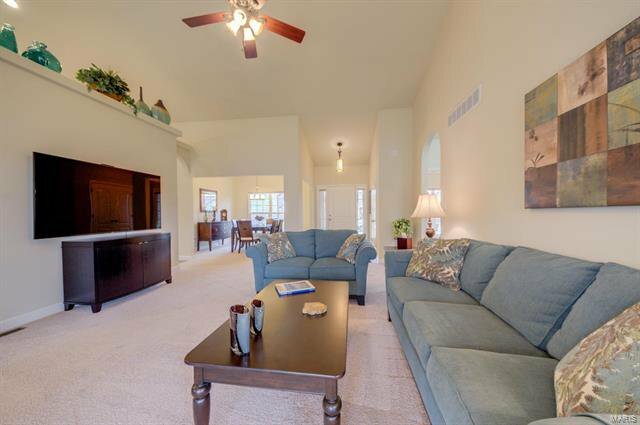 Stunning atrium ranch*split bdrm floor plan & 3 car garage. 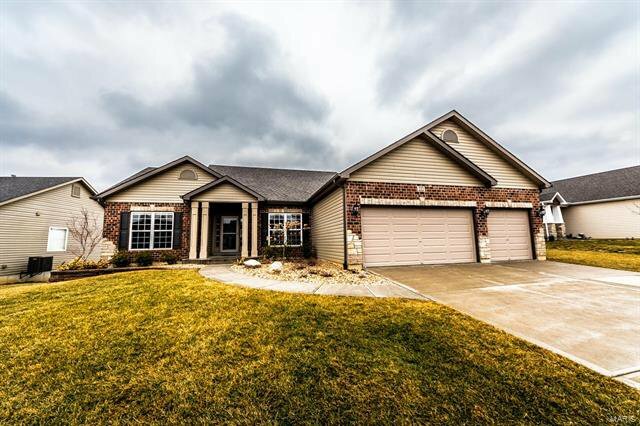 Upgraded elevation with stone & brick *nicely covered porch. 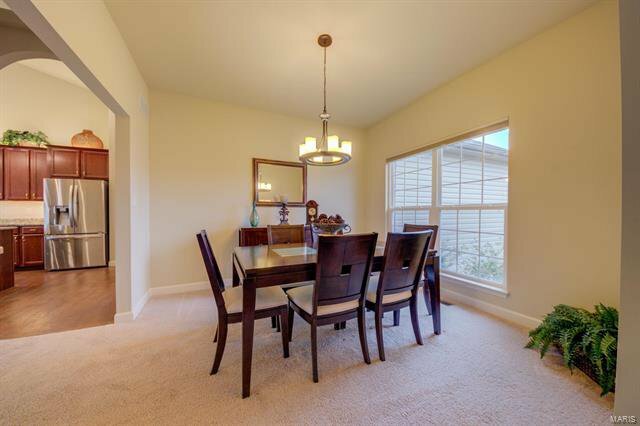 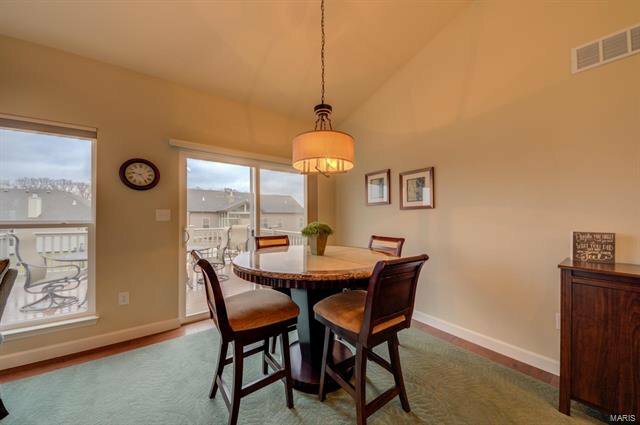 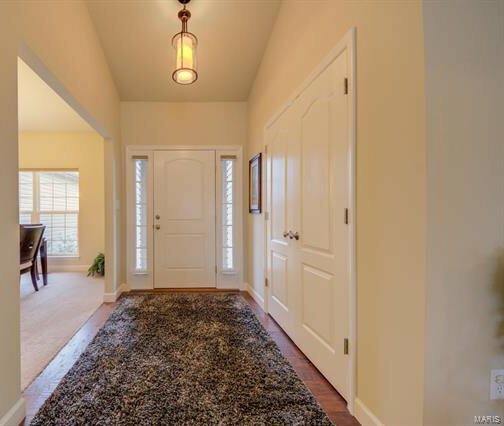 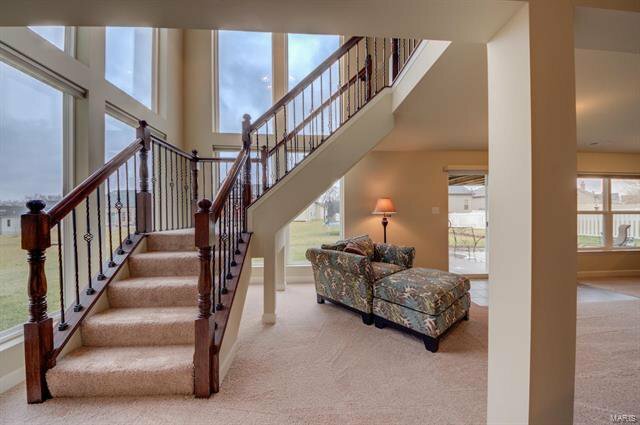 Once inside the gleaming w/floors flows to the for/dining rm*arched entry ways. 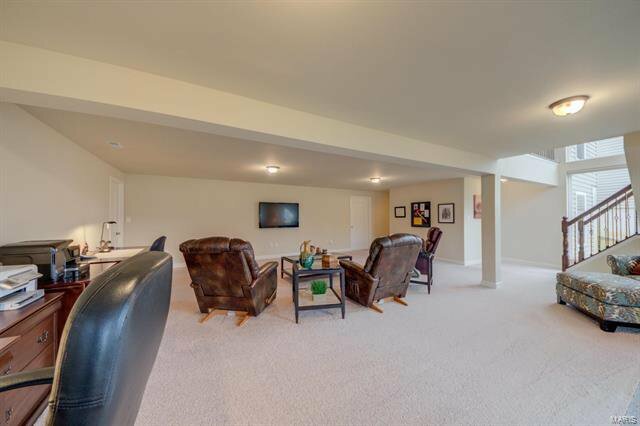 Mostly vaulted ceilings on main level. 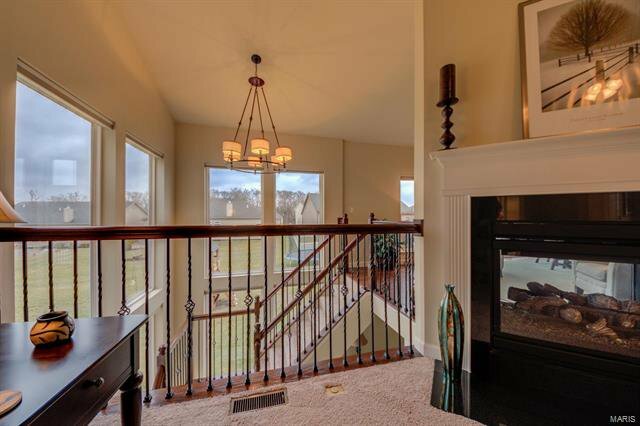 Great room features a see thru fireplace that faces on the other side to the sitting room*2 different mantles*open iron spindle stair case & atrium wall of windows. 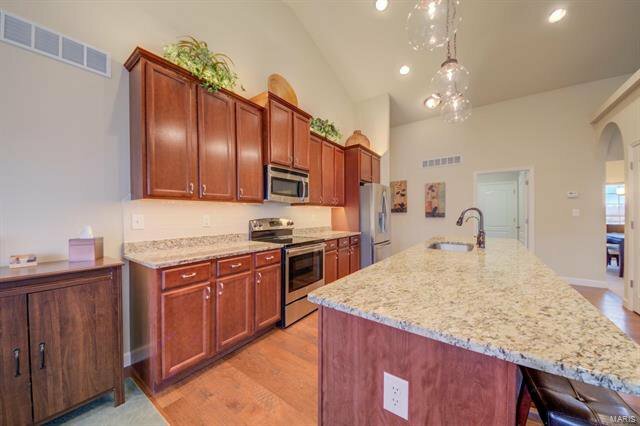 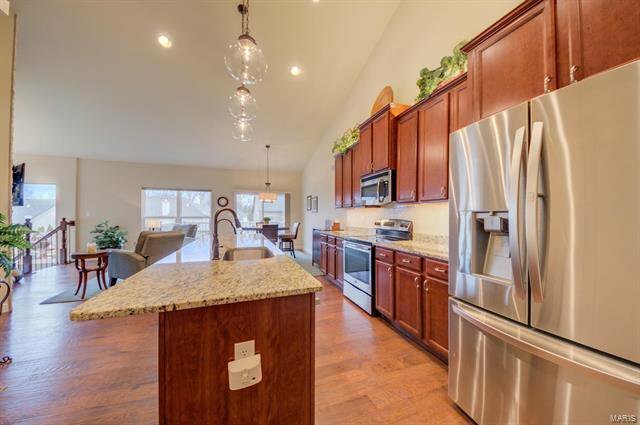 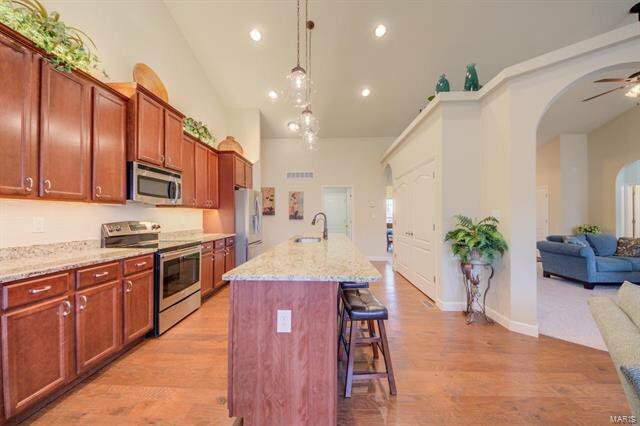 Chefs delight in this awesome kitchen with a huge c/island* breakfast bar*upgraded 42” staggered cabinets* c/molding*granite counter tops*pantry*pl/shelves & back splash. 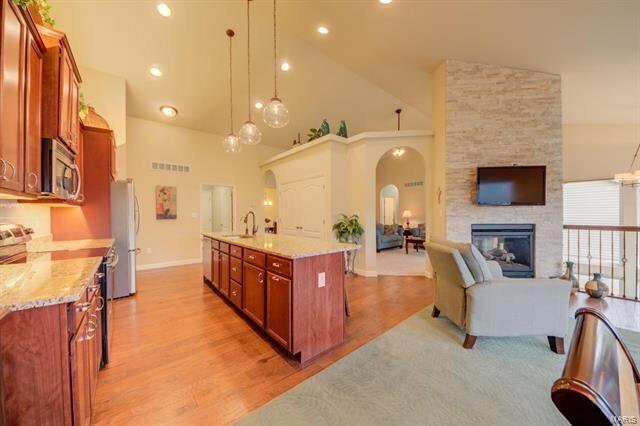 W/ flooring accent the kitchen& break/rm & sitting area. 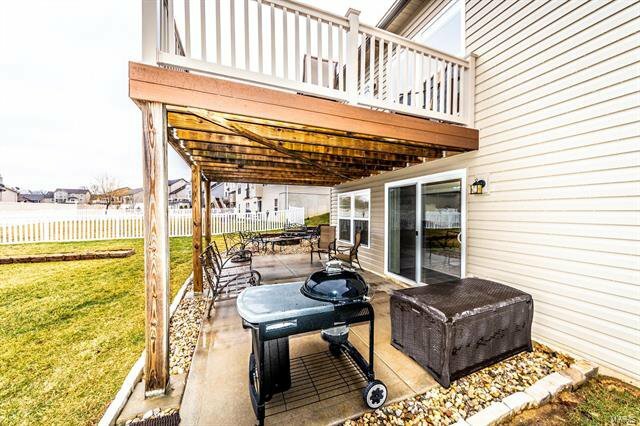 Slider to low maintaince deck. 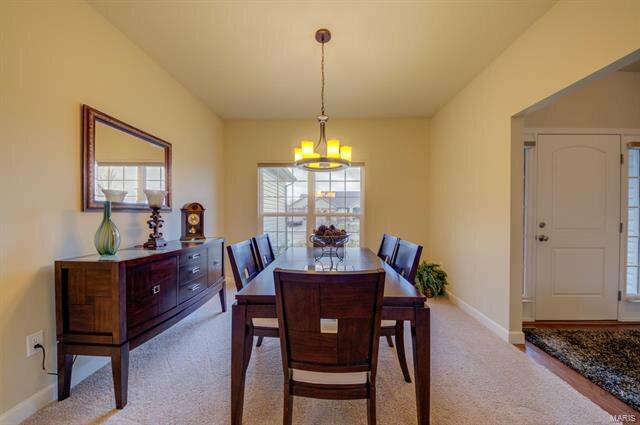 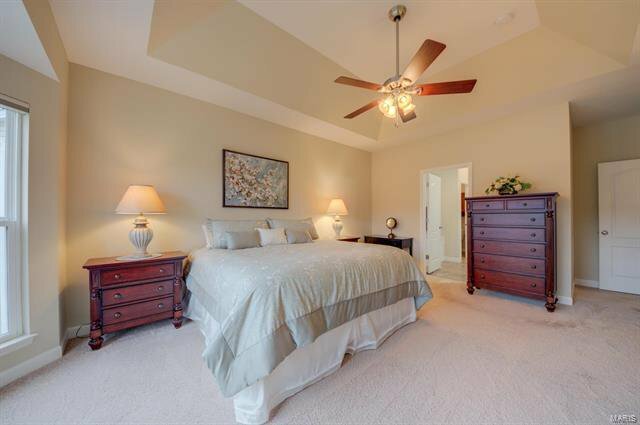 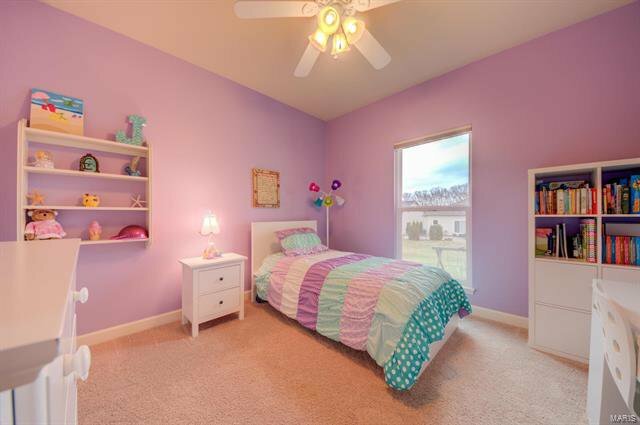 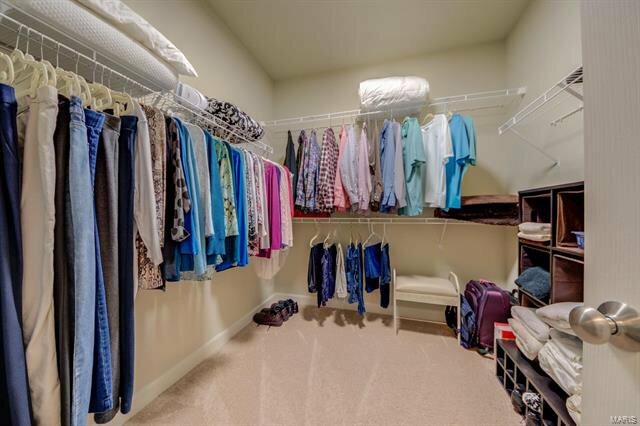 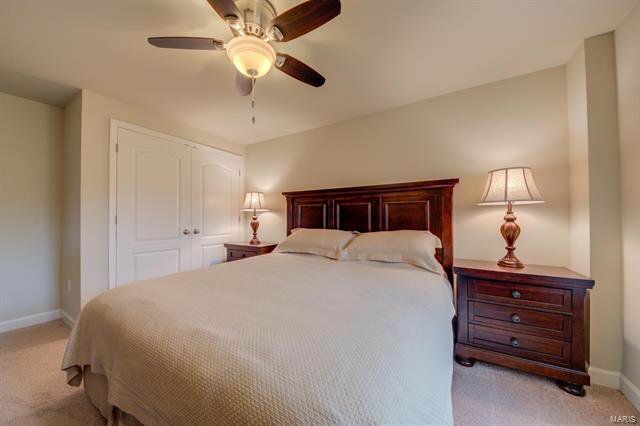 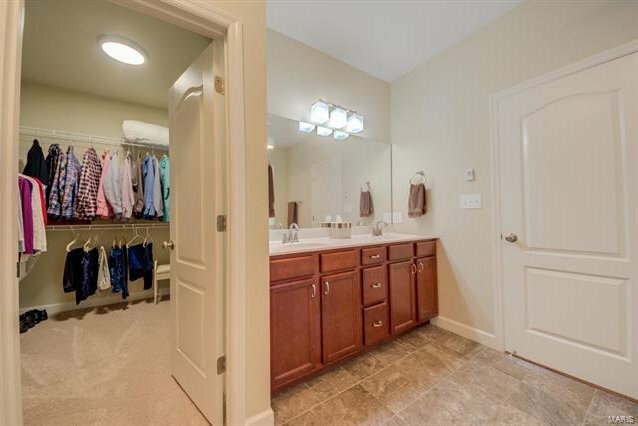 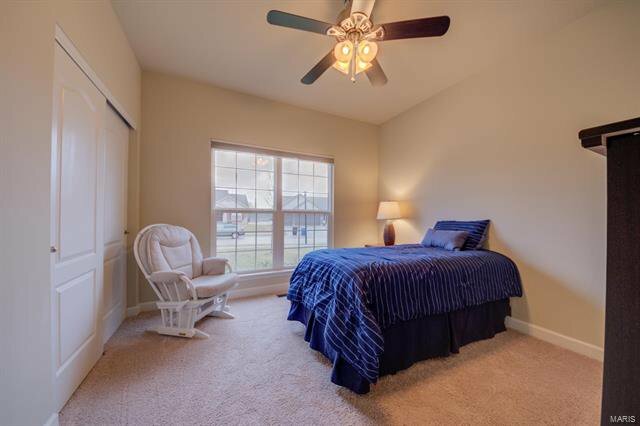 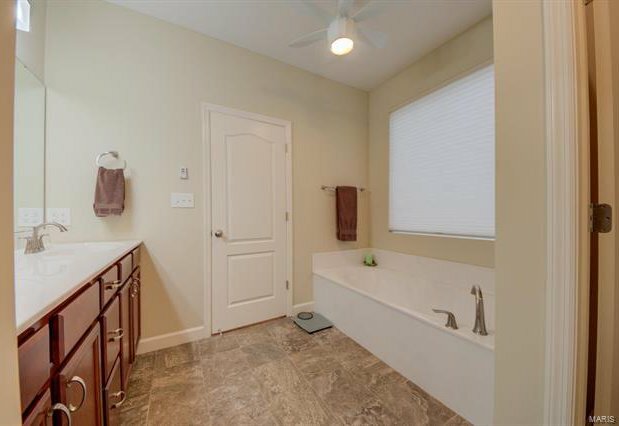 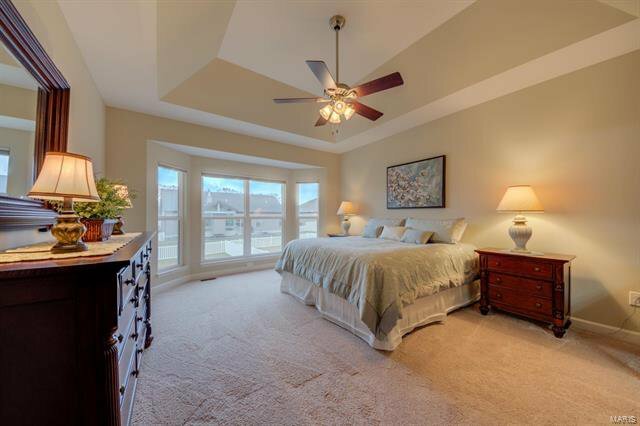 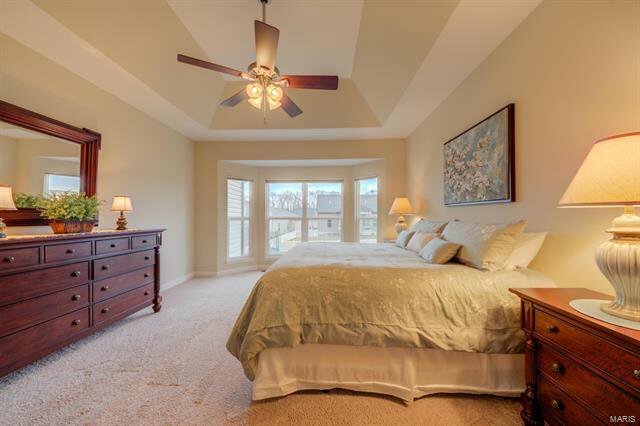 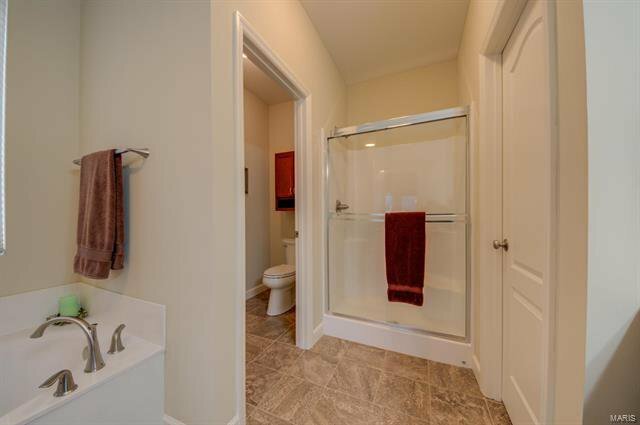 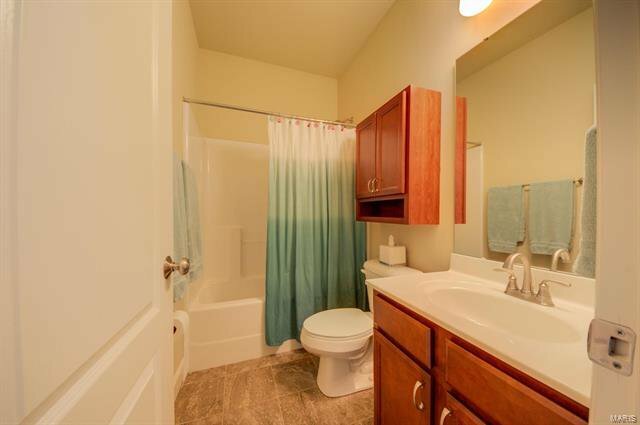 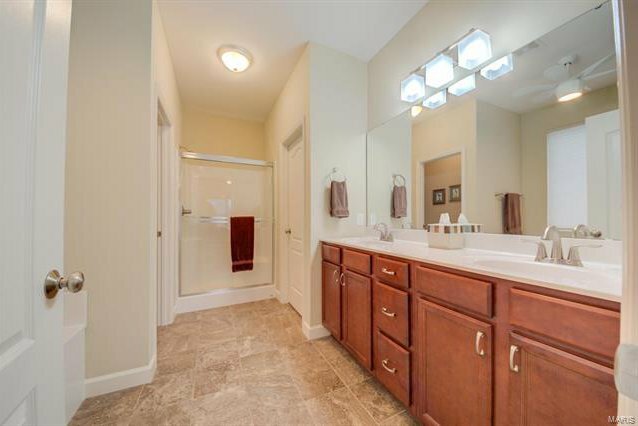 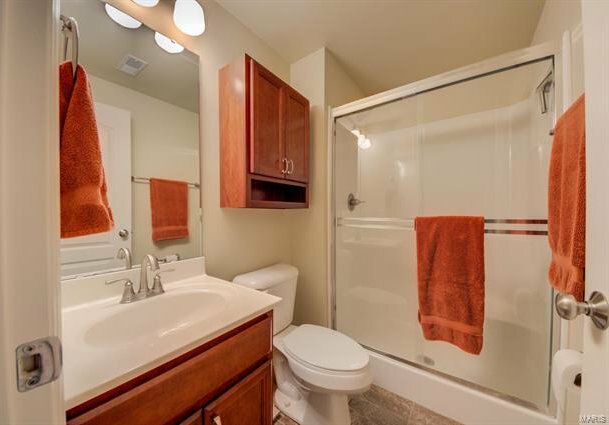 Gorgeous master suite*coffered ceilings*luxury bath* sep/tub & shower*d/bowl adult height vanity. 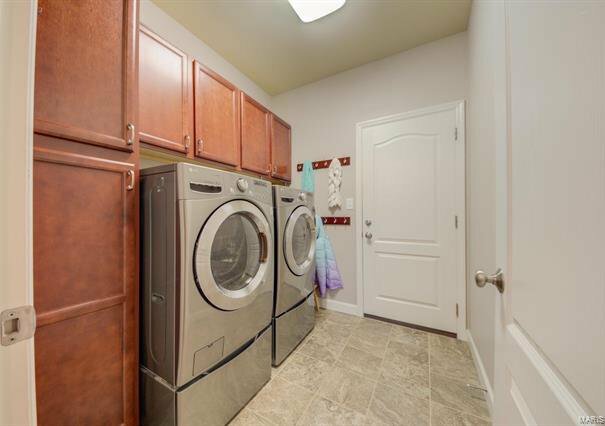 MFl has custom cabinets. 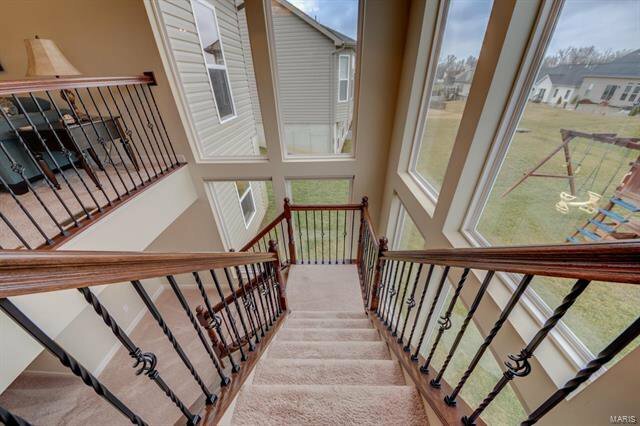 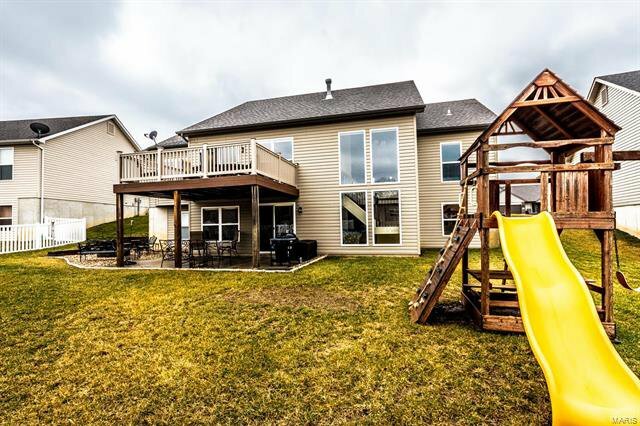 The beautiful staircase & atrium windows welcome you to the fin L/level with rec rm*family rm*full bath* another nice size bedrm. 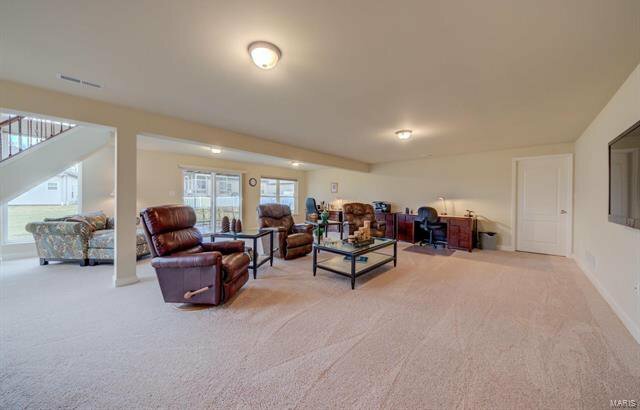 Walk out basement* 16x14 patio*f/pit*great lot. 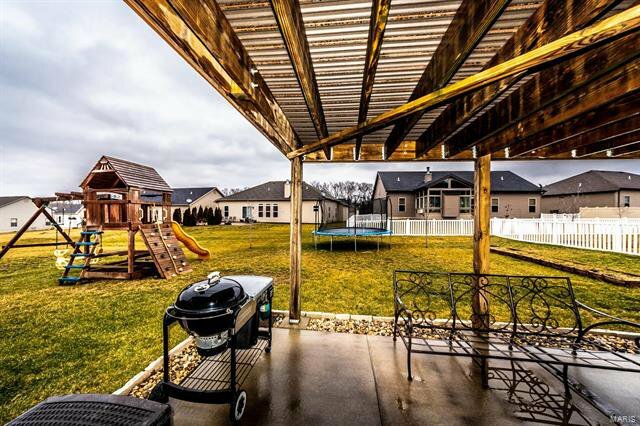 Irrigation system*s/ screen blinds. 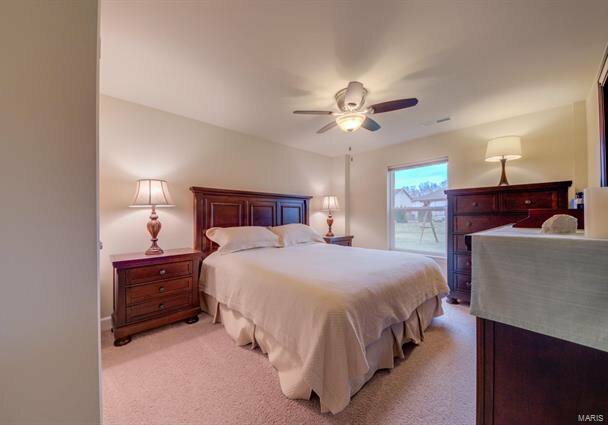 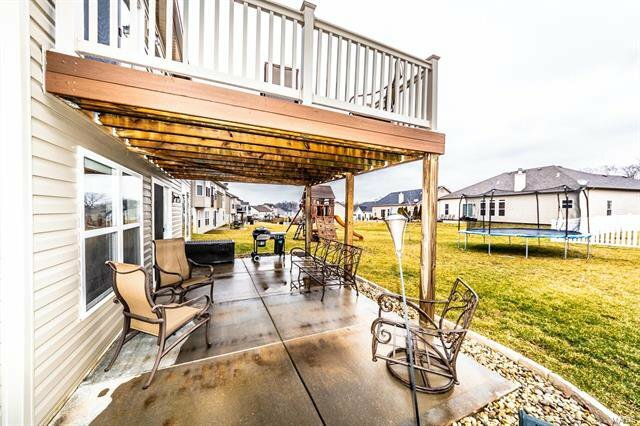 Listing courtesy of Coldwell Banker Gundaker OF. 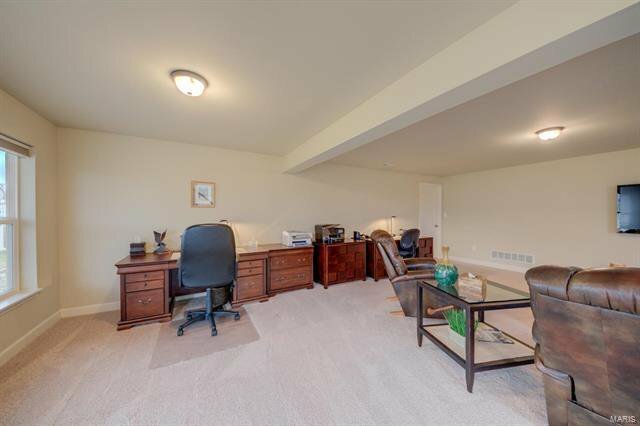 Selling Office: Berkshire Hathaway Select.